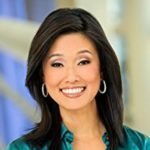 Betty Liu, Bloomberg television host and author, speaks with Sarder TV correspondent Vaishali Jain, about her book, Work Smarts: What CEOs Say You Need to Know to Get Ahead, and her reasons for writing it. She talks about how the inspiration for her book came from her own personal experience as she worked her way up the career ladder. Liu points out why she believes the insight she has gained from CEOs will be helpful to others as they work to achieve their goals. Previous VideoWhat types of personality traits do some of the most successful CEOs share?